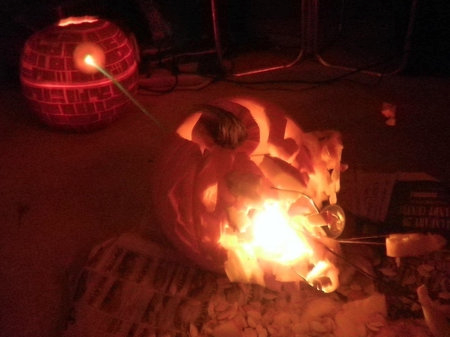 No pumpkin will ever beat this. Ever. Well...maybe an Ewok. But seriously, how cool is this?! 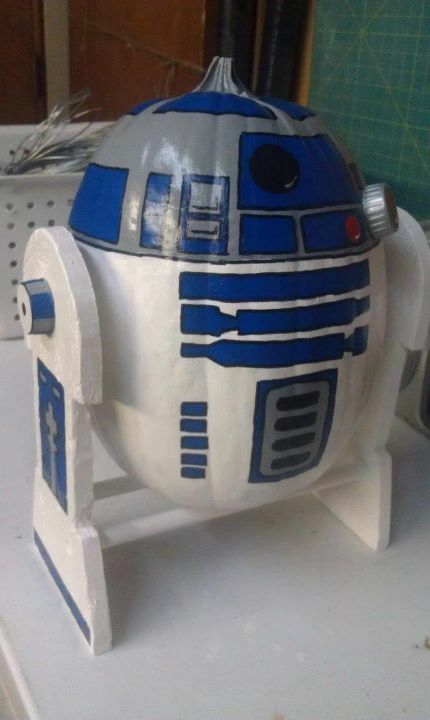 I challenge you to find a better pumpkin and post it to your blog. Triple Dog Dare ya. Update 10/25: This just in. Wow. Love it. Thanks, Quinn! You win. Nothing can beat that. But I might try to do a Boba Fett helmet, or make a Jabba the Hutt pumpkin to give you a run for your money. Oh I didn't do this one, but someone in SLC did, just don't know who. The photo was submitted for KSL's "The Browser" pumpkin contest. These make me wish I were more creative when it comes to pumpkin carving, but really, I just want the seeds!